Truth time - I gained 10 pounds when my grandmother died. I couldn’t stop myself and chocolate was my “drug” of choice. Honestly, I don’t even like chocolate that much but for some reason at that time in my life that was my consolation, my comfort. It got to the point where I didn’t even realize I was eating it. Then one day I found myself munching through a bag of chocolate chips - not even the good kind! - at 3:00 in the afternoon. That’s when I knew I had a problem. So how do you deal with grief in a better manner? I know my first inclination was to sit at home with the blinds drawn, ignoring all phone calls and knocks on the door while watching old reruns of tv shows that brought my warm, fuzzy memories. Pajamas were my friends and I went days without seeing any one other than my family. Like I mentioned before chocolate was my preference because it was very accessible, quickly satisfying and easy to consume. I liked the way it felt on my tongue and it made my endorphins pop. In other words it made me feel good. Was it the right way to handle my grief? Probably not..but it was the only way I could manage. I call it survival. I did what I had to do to survive and that is it. That is how I gained 10 pounds and really bad case of bed head. We all go through grief and we all rationalize our behavior. For me it was chocolate, for others it can be burgers, alcohol or even healthy things like exercise. 1 - Be aware of our grief. My first inclination is always to put a smile over any negative feelings so that no one knows my pain. But that is not healthy. I had ten pounds of unhealthiness staring at me in the mirror because I didn’t want to acknowledge that I was hurting and scared and lonely. You are most likely not the only person who is struggling with the death. There are other people who were affected by the loss even if they are handling it in a different way. Reach out to those people. Don’t stay alone in your sadness. Talk about it versus feeding your grief. You may find the comfort you are craving in the process. 3 - Don’t feel bad for not feeling bad. 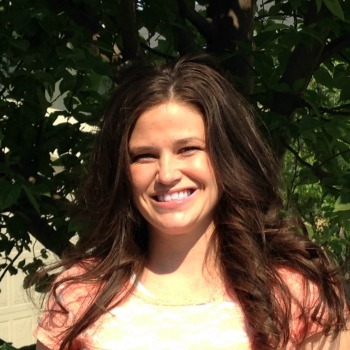 I know it is crazy but the first day after I realized my 10-pound addition, I realized that I didn’t want to live this way. I got up, showered and left the house for the first time in a couple weeks. The sunshine on my skin made me happy and gave me purpose until I was slammed with a brick of guilt. How could I be happy when my loved one just died? There was so much guilt involved as I tried to move on and get back into my normal routine. But that wasn’t right or healthy for me. It is good for you to live your life. Your loved one wants you to be a part of life and not stay in a constant vigil of darkness, tears and Dove chocolates. 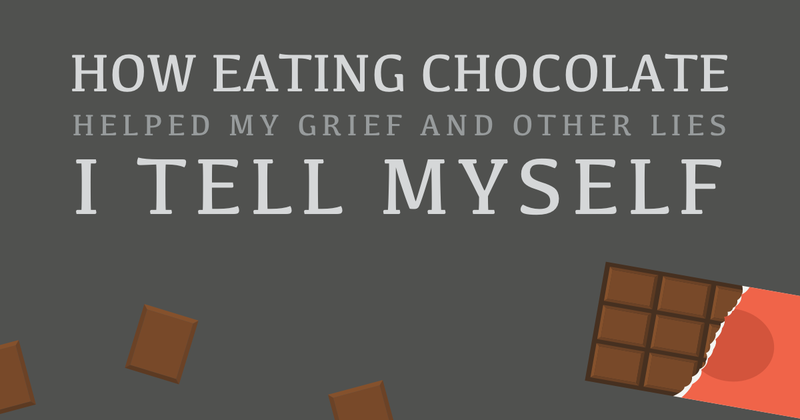 Take it from me - chocolate while satisfying is not the key to grief. Being aware, reaching out and living life will help your grief. But on an especially hard day a little Toblerone never hurts!